After a stellar ABGT250 at the Gorge last September, many wondered where the group would be taking their next festival celebration. Tony, Jono, and Paavo of Above & Beyond will be celebrating their annual Group Therapy show, ABGT300 on Saturday September, 29 in Hong Kong. If you aren’t able to make it overseas, don’t fret, this event will be live streamed on Saturday morning! Tune into the exciting live stream with us! 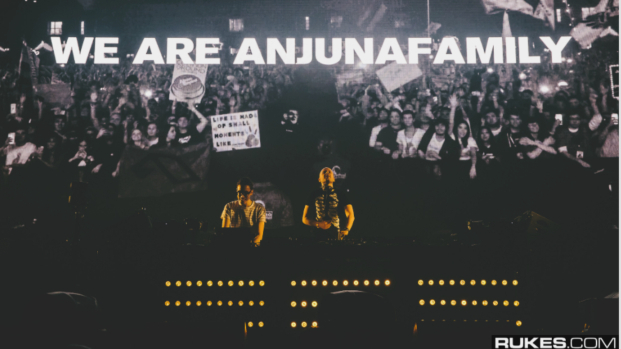 Above & Beyond Group Therapy is a sneak peak of the most anticipated trance and house releases of the upcoming year. ABGT has been hosted all over the world, in locations such as: India, London, New York City, Sydney, Amsterdam, and most recently The Gorge Amphitheater. As a result ABGT 300 in Hong Kong is going to be a unique and exciting location for Group Therapy. Above & Beyond have spent the greater part of 2018 making sure every detail of the event matches their high standards. At the Gorge for ABGT 250 Above & Beyond played Rocket Science, and Northern Soul for the first time. Also their openers played new selections. For this reason you should expect to witness some never before heard music at ABGT300! Last years 250 celebration featured a heavier and more experimental lineup, including Oliver Smith, Sunny Lax b2b Genix, and Seven Lions b2b Jason Ross. The lineup was excellent for an American crowd and matched perfectly with Above & Beyond’s New Album, Common Ground. For ABGT 300 they are dialing things back a bit and going with a more traditional trance lineup. Per Group Therapy tradition, Above & Beyond will be opening for themselves, with a deep house themed set. Next, “The Anjunadeep Rookie of the Year”, Ben Böhmer will play multiple deep house favorites before handing the decks over to the Anjunabeats All Stars. In addition Spencer Brown, a Computer Engineering Major from Duke University, will be performing. He has a unique style of music, focusing on progressive house. Spencer has been touring with Above & Beyond for the greater part of 2018. Grum recently announced his debut album, Deep State. Without a doubt he will be playing new selections from his forthcoming album. His music is akin to the likes of Eric Prydz, but with an Anjunabeats touch. Furthermore his set at Paradiso was one of our favorites. Andrew Bayer released his album In My Last Life last August. He has been preparing multiple club mixes for their first play at ABGT300. Later in the evening, Ilan Bluestone will be closing out the celebrations after Above & Beyond. Bluestone will be playing last because he has a unique spin on Trance music, featuring heavy kick drums. Catch ABGT 300 Artists in the Pacific NW! When the Group Therapy 300 party is over, we will be dying to hear more from these artists. You can catch Andrew Bayer headlining and Spencer Brown opening in Seattle, Vancouver, and Portland on December 13, 14, and 15 respectively. As with all Group Therapy celebrations, loyal fans are traveling from across the globe for the magical ABGT300. Thousands more will be tuning into the ABGT Live Stream on Above & Beyond’s Youtube. This event is pure bliss and is a must see for music fans across the globe! Will anyone be making the trek to Hong Kong? Who will be tuning in at home? Which performance are you most excited for? Share your thoughts in the comments or on social media!